Recently I was discussing with a client his plans for future investment. He advised me that he had been thinking about investing in Cryptocurrency. Cryptocurrency is a digital currency in which encryption techniques are used to regulate the generation of units of currency and verify the transfer of funds, operating independently of a central bank. Bitcoin is the best known cryptocurrency, but there are now plenty of others. The relatively anonymous nature of digital currencies has made them very attractive to criminals and also one of the most common kinds of investment scams. 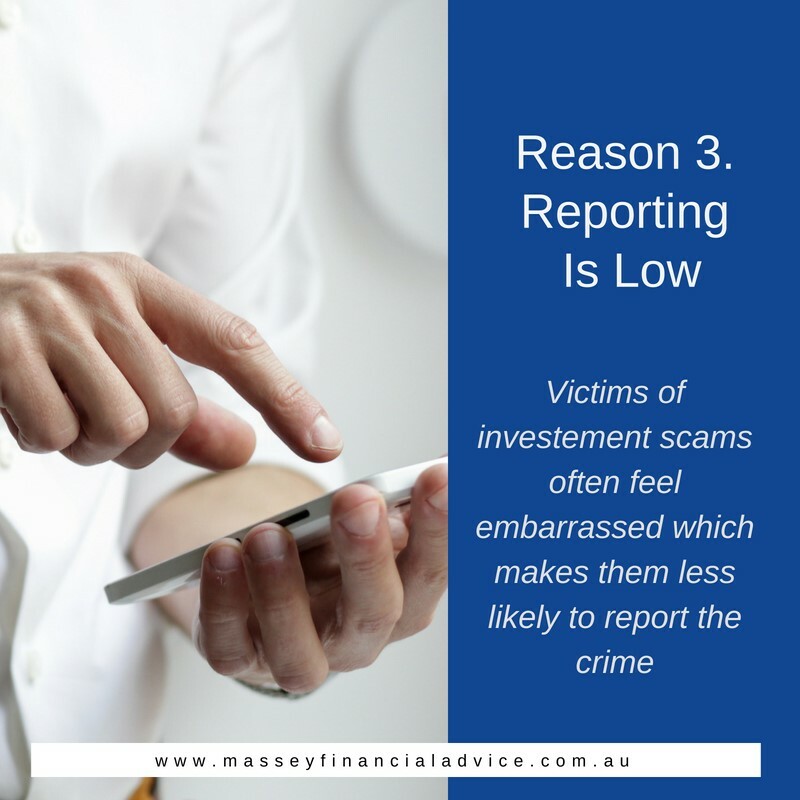 The Australian Securities and Investments Commission found there were 582 reports of investment scams in the first half of this year – more than double last year’s 275 reports for the same period. Before you take the plunge, you need to understand the risks. Below are three reasons that cryptocurrency may pose a risk. With a rise in interest for cryptocurrency comes an increase in people falling for scams. Don’t fall for hard sell tactics or too-good-to-be-true offers, especially when received over email or social media messaging, as these are likely phishing attempts. The best defence against these scams is to remain vigilant. 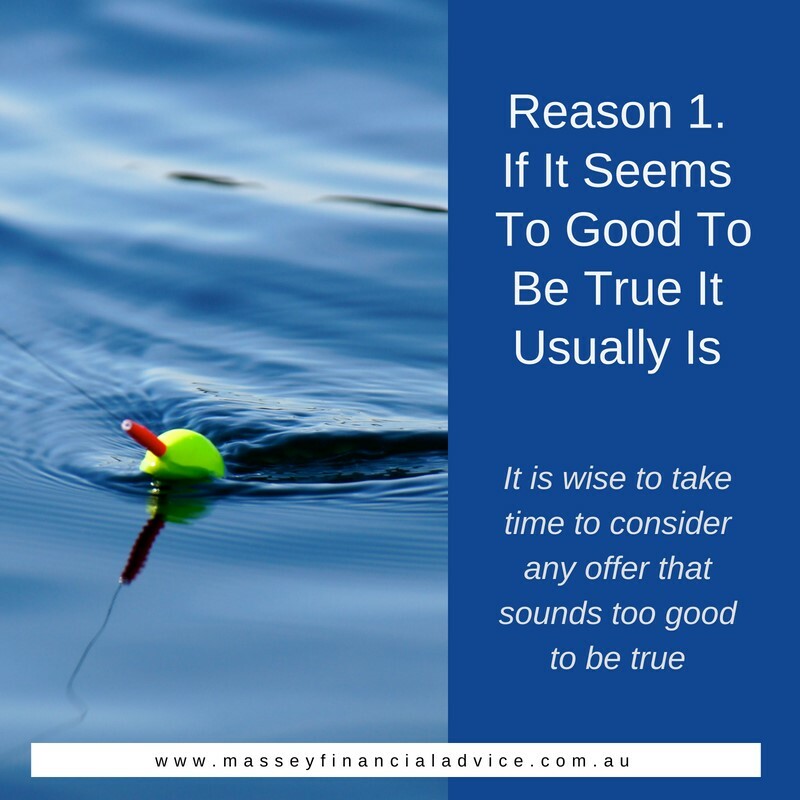 It is wise to take time to consider any offer that sounds too good to be true, as well as getting independent financial advice and doing some research. Very few people actually understand cryptocurrency and this makes it easier to for the scammers to make false promises and unusual moves without getting caught. 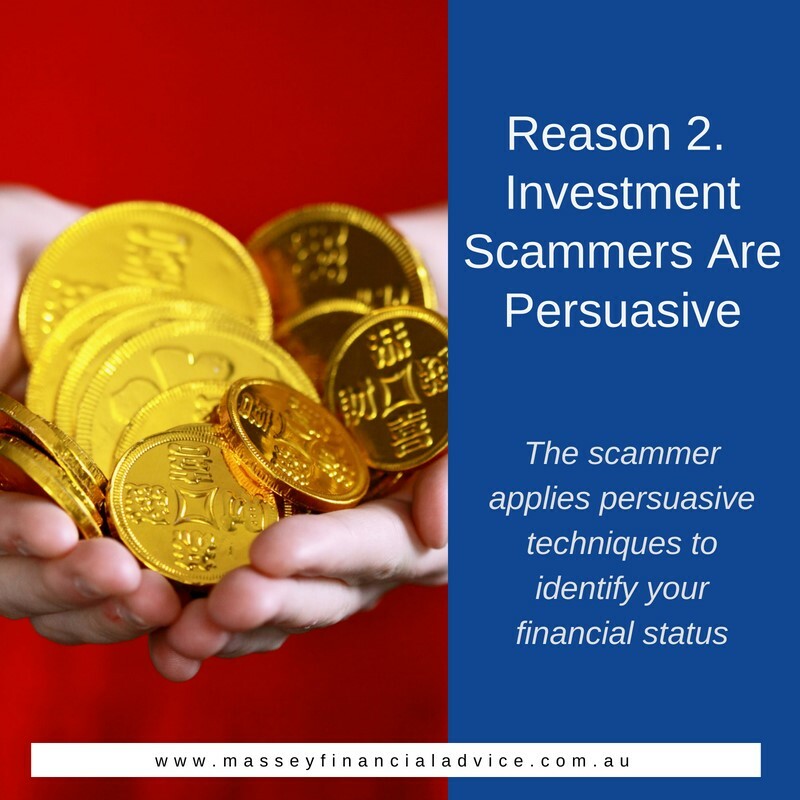 The scammer applies persuasive techniques to identify your financial status and encourages you to transfer money into their investment scam. On the face of it, they can seem perfectly legitimate, appearing knowledgeable with websites, testimonials and marketing material. The scammers will adapt and find ways to exploit popular trends, new platforms, new ways of communicating, fad products or new investment opportunities. Victims of these investment scam often feel embarrassed and confused which makes them less likely to report the crime. They may also struggle to own up to their losses, or the full extent of them. With the lack of these crimes being officially reported it is compounding the problem as the community is less aware of the risks. 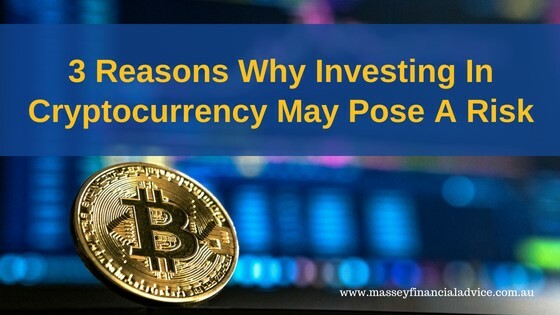 Investing in cryptocurrency can be quite high risk and speculative. Cryptocurrency is currently unregulated, unlike real currencies. It is highly advisable to consult a properly licensed financial adviser who will work with you to provide financial advice in relation to regulated investments.